Damson plum also known as damson is a subspecies of plum tree. The edible drupaceous fruit is native to Great Britain. It belong to the family of rosaceae in the genius prunus. The theory behind damson plum is that, it is believed to have been originated from Damascus before being introduced to England by the Romans. The tree can be planted in well drained, loamy soils with a Ph of 6-7 and do good in sheltered sunny locations. It is advisable to put some manure into the hole before planting. Staking the plant may damage the root ball so one should drive the stake into the ground in order to support the tree. Watering should be done until the tree is established to avoid drying up. All in all, damson is well known for its rich flavor which has both sugar and astringent. The fruit has an ovoid shape and pointed at one end. It has a smooth texture, yellow-green in color and the skin ranges from indigo to dark blue or near black. But the color may depend of the variety since there are others that have yellow, red or purple skin. The tree blossoms in early April and normally the white flowers are small. The fruit is harvested from August to October but this entirely depends on the cultivar. The skin of the damson has a tart flavor especially when unripe and this is why most red wines are referred by its name. 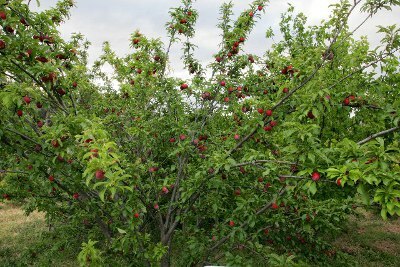 But the fruit is used for cooking and for commercial use it is used to make jams and fruit preservers. There are other varieties of damson that are sweet and can be eaten directly. The seeds are very hard just like a stone and when people are making juice preservers they opt to use the whole fruit in order to preserve the taste too.